The Wave Transit App is available for iPhone and Android devices. 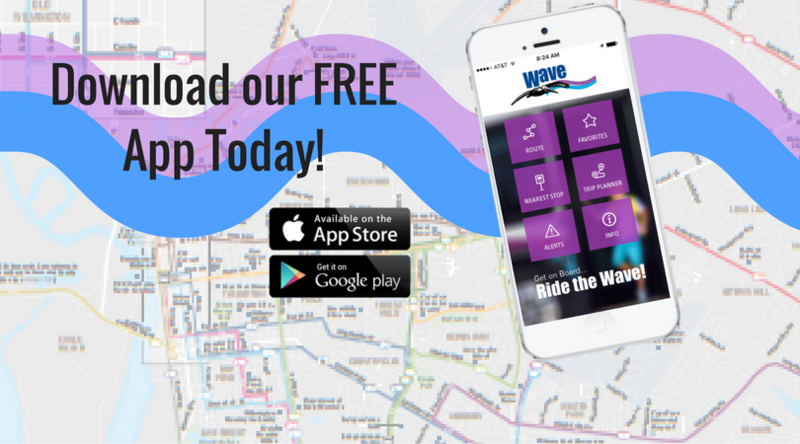 Search Wave Transit on the App Store or Google Play and download for free. Use the App to Locate Your Bus Route, Find Your Nearest Stop, Plan Your Trip, and Stay Informed and Connected.